hardware is Grade 5 Ti. 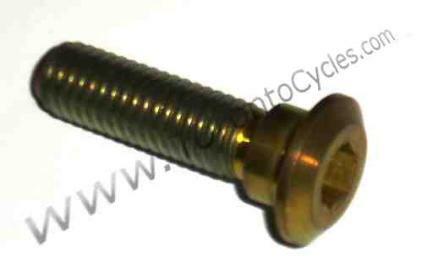 25mm and un threaded 15mm. 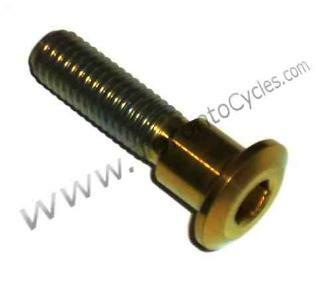 Titanium Bolt for Honda Motorcycles. 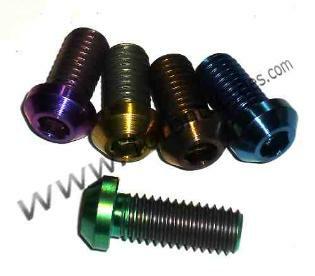 Titanium Bolt for Ducati Motorcycles. 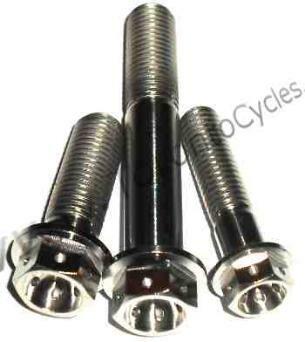 Titanium Bolt for BMW Motorcycles. 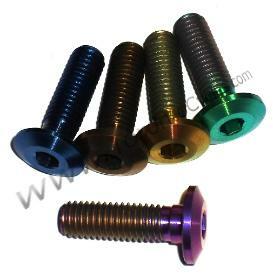 Titanium Bolt for Kawasaki Motorcycles. 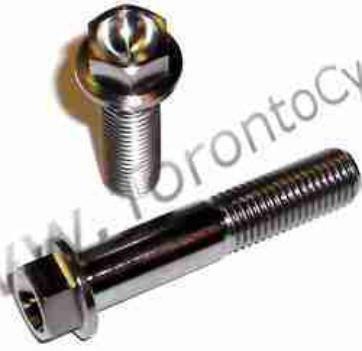 Titanium Bolt for Triumph Motorcycles. better as the bore is about 8mm. 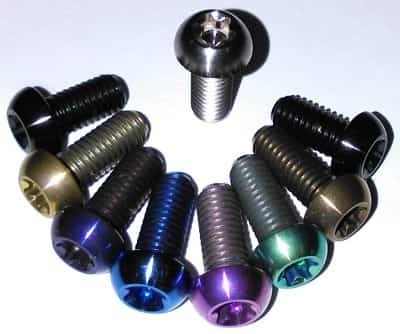 Titanium Bolt for Yamaha Motorcycles. 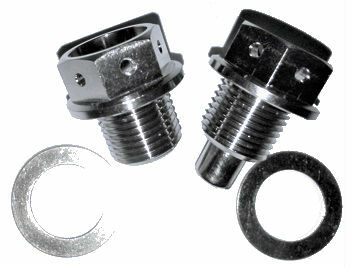 Coms in 2 lengths: 15mm and 20mm. 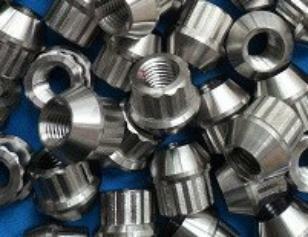 are drilled into the head. Prices for coloring ti include your entire order. 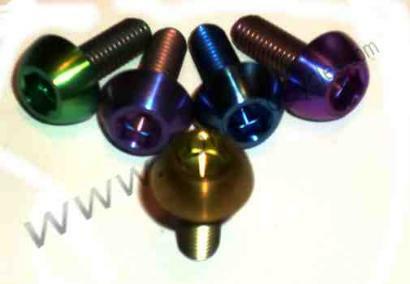 If you would only like part of the order anodized please make sure you let me know at payment. Titanium hex Flange Bolts are on the middle of the page. 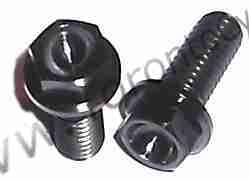 14mm oil and transmission drain plugs. 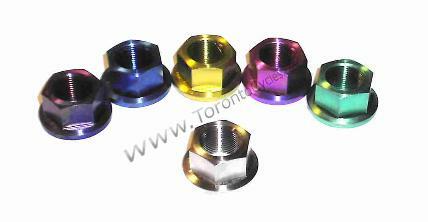 rounding off of the titanium lug nuts. 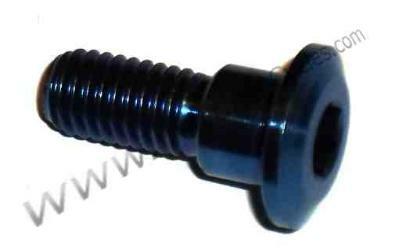 12mm threads - 1.5 Pitch. 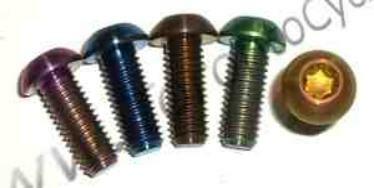 of the head to the end of the bolt. weight is about half of steel. 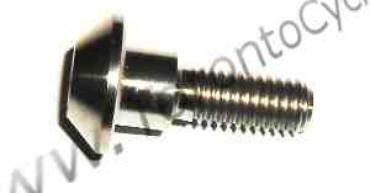 T27 Torx Socket, 6mm bolt.